Photo courtesy of the LBPD. Nearly 50 cases of illegal fireworks were confiscated by Long Beach police officers Friday after a buy-and-bust operation, authorities said. 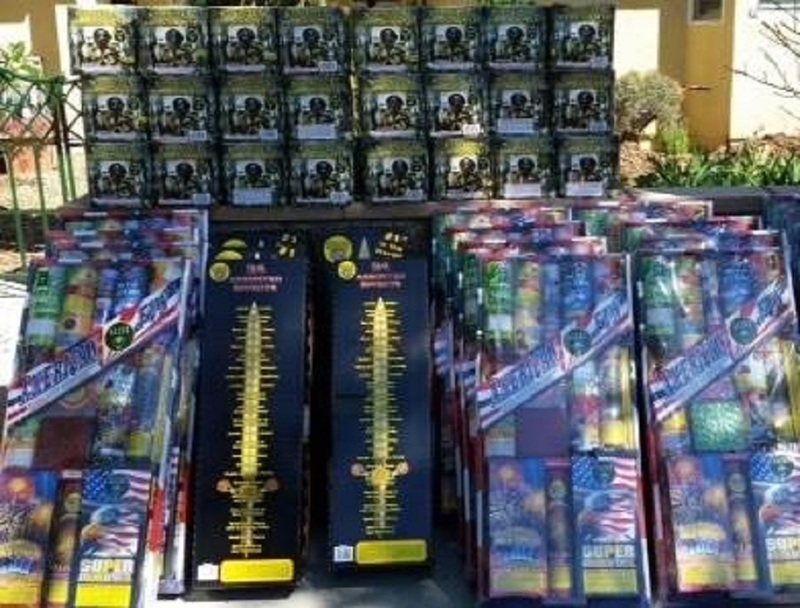 Complaints from residents about illegal fireworks activity prompted the operation—which targeted illicit online fireworks sellers operating in Long Beach. The operation was conducted by Directed Enforcement Team officers from Long Beach Police Department’s East Division who posed as online purchasers, officials said. The officers met the sellers in the East Division and seized 47 cases of illegal mortars, flares and other fireworks. Police said three sellers were arrested and later released, including a 29-year-old North Long Beach resident, a 30-year-old Carson resident and a 24-year-old Signal Hill resident. All three were cited for violating the city’s municipal code.